transformed the tourist resorts, making them even more picturesque. The road connectivity on the Kullu-Manali highway remained snapped as a thick blanket of snow covered the road near Patlikuhl, some 20 km before Manali. 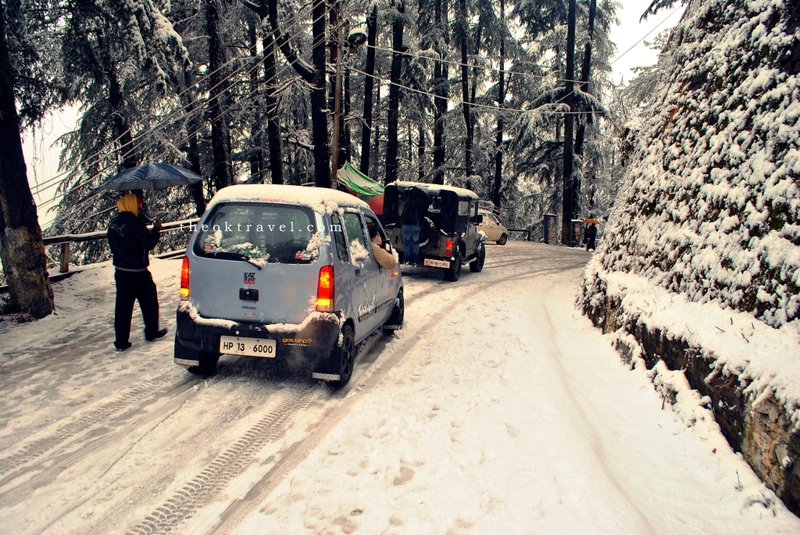 More than 38.6 cm snow was fallen in Shimla and 36 cm in Manali, and the season has just begun here in Himachal Pradesh. Manali, which had no electricity supply through the day shivered at 1.6 degrees Celsius below freezing point. More than 30 tourists were reported stranded at Tapri near ReckongPeo because of heavy snowfall. Road to the Spiti Valley via Shimla, which remains open throughout the year is closed until the weather clears. Kalpa, some 250 km from state capital Shimla, saw 49 cm of snow, while it was 11 cm in Keylong in Lahaul and Spiti district. Kalpa was the coldest town in the state with a low of minus 7.8 degrees Celsius, whereas it was minus 6.7 degrees in Keylong.